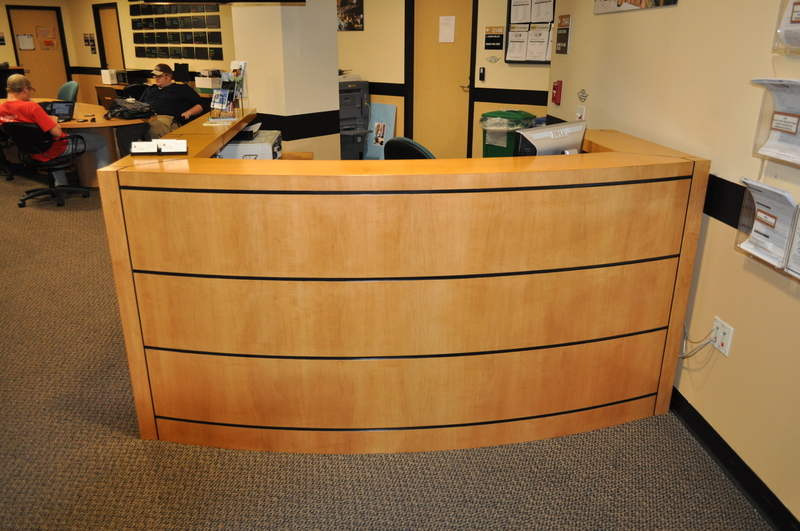 After a summer of questionable spending on a lavish retreat, and a new semester tarnished by the purchase of an almost $8,000 desk for the Student Government Association office, has SGA learned a lesson when spending public money? This is a student government ran by President Mike Kilbride, whose purchasing decisions are being questioned by the likes of gubernatorial candidate Alex Sink, the state’s chief financial officer and front-runner in the race, according to recent polls. So when Knightnews.com learned of another SGA retreat — this time for senate — we decided to see for ourselves how they were spending students’ money. On Friday night, KnightNews.com drove to the Plaza Resort and Spa in Daytona Beach, Florida to get some answers from the new SGA senate. Because Speaker Drew Pope ignored our last e-mailed question about the election, we decided to catch up with him in person to ask our questions instead. A senate retreat is not something new. These new students are required to go, and the information they cover during the retreat is vital, as they become familiar with the rules and regulations of senate. However, at a time when students are struggling to pay for tuition, block tuition seems possible, majors are being cut and programs are being lost, students are asking if it really sends the right message to stay at a beachside resort. When we arrived Friday night, we surveyed the local bars and nightlife to see if these senators were out partying on their first night at the resort, since the The Plaza Resort is located within walking distance of the main Daytona Beach nightlife strip. We wanted to find out whether students were out partying when they had traveled all the way out to Daytona Beach to learn. Despite our search, we didn’t find a single senate member out that night. When we finally got a chance to talk to some new senators the next day, a senator told KnightNews.com how they all stayed in the first night because they knew they had a long day ahead of them. Saturday morning we came down to the lobby to ask senators and Senate speaker Drew Pope why they decided to stay at such a beautiful beachside resort. Instead of finding senators eating $22 per plate breakfasts, like President Kilbride purchased with public money for his executive cabinet on their retreat, we found students eating a very modest breakfast — bagels and juice. Despite the frugal breakfast, the lunch accommodations were far more elaborate, with a private buffet and their own chef on a private, roped off terrace facing the ocean — all during the famed Air and Sea show. Overall, it was safe to conclude that Senate was being more fiscally responsible than Kilbride. However, when we tried to speak with Speaker Pope about the retreat in the morning, he claimed he was too busy to give us a complete answer at first. When Pope did finally answer questions, he told us that he had “checked out at least 20 hotels that had accommodations for up to 60 people that had ample meeting space and that had very, very cheap food and beverage.” But when asked to give us a rough estimate of the cost of staying at this beach-side resort, he couldn’t even give us a ballpark on the price. “It was three months ago when I booked it,” Pope said, and then told us to file a public records request with UCF to find out the price. SGA routinely orders those requesting records to fill out this form, with restrictions lawyers told us are illegal. We will work to request those receipts as well as obtaining other documents about questionable spending from the senator. If we receive anything further on the retreat, students will be the first to know. But it seems at least for now, there’s a movement within SGA to take more steps in the right direction to follow what students we talked to have said all along — that students don’t necessarily want less money being spent, but rather, their money spent in a more well thought out and responsible way. 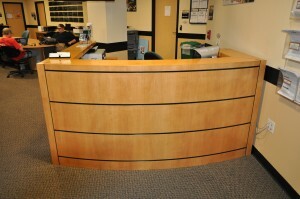 Below, see a picture of the nearly $8,000 desk SGA President Michael Kilbride bought for his front office.